a reputable provider of expert security protocol for any situation. Keeping homes and businesses secure is vital in these times. The tall skyscrapers of NYC are a prime example of where intercom systems can make a tremendous difference for the better in terms of overall security for the building. These intercom systems are advanced technology, not like the old intercom systems. Based on a digital system, it is easy to hear personnel from one room in another. With intercoms as a part of New York security, people are able to communicate to personnel in any other room and outside the building as well. There is also a link to other locations. Hulk Security Systems carries a wide variety of intercom systems for businesses and residential security. Our staff is knowledgeable with experience and they can answer any questions you may have, offering suggestions to improve overall security. 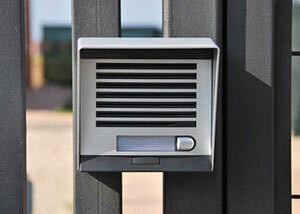 Hulk Security System carries the best in intercom security and other New York security services. Intercoms are not all that we offer to our clients. We can provide full security systems with digital cameras, alarm systems, unique and advanced access control and a variety of other services. Let us find the weak points in your security and turn them into strong points. Don’t get taken advantage of. Play it safe and call on us to help boost all of your security standards.